Aspen Grove 1 Bedroom Senior Apt. Magic City Terrace 1 Bedroom Senior Apt. Enjoy retirement living in Billings, Montana with a variety of retirement communities that provide special care to our senior citizens. Billings is fortunate to have a professional medical community so you can live with peace of mind during your golden years. To find senior housing that meets the needs of you or your parents, please read the descriptions below. These are affordable housing options for senior citizens. Senior apartments may have a variety of amenities including a dining room, library, activity room, beauty salon, transportation options, onsite management and assistance. Please read the detailed information provided with each senior apartment listing or call the office of the senior apartment(s) you are interested in. Retirement communities bring seniors out of an isolated living situation and offer a variety of services and social interaction possibilities. Services vary in each retirement community and may include daily rounds to check on residents, meal plans, light housecleaning, activity director and programs, transportation assistance for scheduled appointments and shopping, wellness clinic, physical therapy or exercise programs. Please see the details in the listing for each retirement community or call them for more information. Assisted living is a wonderful alternative for seniors that require more attention, but do not need full time care. Assisted living normally provides all meals, medication programs to assist residents in taking their prescribed medicines, regular rounds, housecleaning, assistance with dressing or bathing as needed, and more. 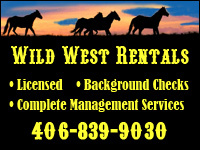 Prices vary depending on the level of assistance required. In addition, Billings is fortunate to have some retirement communities with secured memory care wings for those struggling with Alzheimer's or dementia. Nursing homes provide full time care to senior residents. Nursing and convalescent homes are staffed with registered nurses 24 hours a day. Retirement homes usually provide rehabilitative services and therapy to help seniors regain ambulatory movement. When possible, seniors may be able to move back to an assisted living facility. 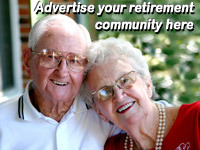 See details in each nursing home or retirement home listing for services provided. Seniors in Yellowstone County can find programs and resources for housing, meals, medical care, education, transportation and social activities. 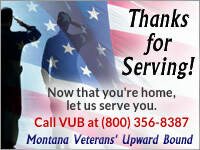 You may contact these agencies for more information on the services they provide. The Yellowstone County Council On Aging (YCCOA) is a private nonprofit organization that is supported in part by county, state, and federal funds, United Way, grants and other donations. YCCOA assists seniors to remain independent as long as possible and remain valued contributors in our community. YCCOA supports a number of Senior Community Centers in our area and has a Resource Center south of West Park Plaza at 1309 16th Street West. Yellowstone County has 6 Senior Community Centers where you can participate in activities and programs including the YCCOA Senior Dinner Program. The Senior News is a free monthly publication with information on senior activities, services, and programs. They include the monthly menu for the Billings Senior Dinner Program and Meals on Wheels. Seniors, their family members, and local caregivers are welcome to sign up.